Hi guys we are again here with a good news to all our reader. After the great success and launching of our services we are here bringing a new things to all of you there. As per the great response from the student in a few months we are glad to announce and invite you all for the open session of Advance Cyber Security and Ethical Hacking. We are finally making a seminar which is open seminar (open for all) in Solapur, Maharashtra, India. Maharashtra, and the event is taking place on 3rd June 2013. 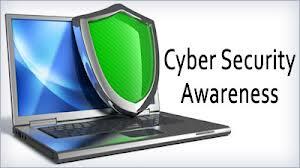 Cyber Kendra will the official partner of this event. So Guys dont miss the chance, get the opportunity. Another New thing is that We are also releasing our Operating System Developed by the member of Cyber kendra, name as Meow|Track It is a Security analysist and Vulnerability assessment OS for advance pentester and security specialist as well for the beginner. All the advanced tools are come up pre-installed on Meow|Track. All the Function demo will be given at the Event on 3rd June.